About three months ago, researchers at the world's leading particle accelerator discovered the first signs of a particle heavier than the Higgs boson. 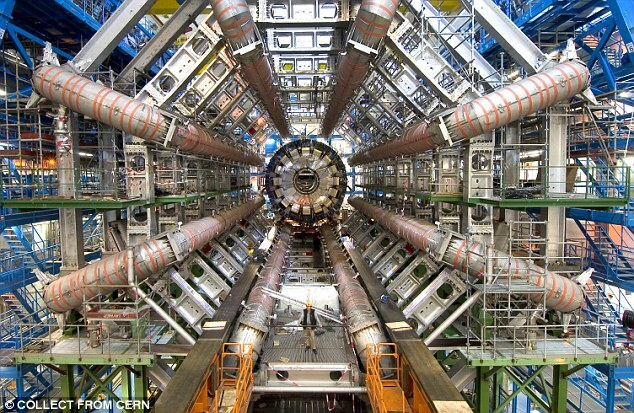 Now, clues of this strange new particle at the Large Hadron Collider (LHC) has just got more conclusive. Although it falls short of the correctness required to be able to declare a discovery, it does make the reading more statistically important – and that has got physicists thrilled. According to our current models there is no certain explanation for this particle and its presence might lead to the discovery of a whole new category of particles and maybe even a fifth fundamental force. Details of this experiment and data collected were published in Nature. According to the Standard Model, everything in the cosmos is made from the most elementary building blocks called fundamental particles, that are directed by four forces: gravity, electromagnetic, weak nuclear and strong nuclear. These fundamental forces work over various ranges and have different strengths. This new particle, if turns out to be real, would not fit into the description provided by the Standard Model and so would ultimately lead to a complete new area of particle physics for researchers to explore. Various physicists have recommended that it might actually lead to the discovery of a fifth fundamental force.